Students at the 22 colleges across the Technical College System of Georgia can now register for their courses via smartphone. The system teamed up with Ellucian to roll out a comprehensive mobile app this summer. "We're very excited to have this new technology available for students," said TCSG Assistant Commissioner Kathryn Hornsby, in a statement. "The new app gives students an easier way to enroll in any of their college's courses and get their career started." Via the app's notification system, students can stay in continuous contact with their college, receiving important campus messages or notices of outstanding fees. Soon, the app will be updated to enable mobile payments. 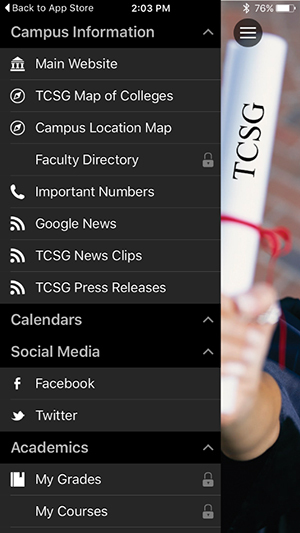 The app has been installed by more than 5,000 students across all TCSG colleges, and many students used it to register for fall semester classes, according to a news release from the system. "Our students, like much of the world, are heavy users of mobile communications technology," said TCSG Chief Information Officer Steven Ferguson, in a statement. "The new app is an important part of our continuing work to implement new technologies that enhance college experiences for our students."